finish alternating colors of grey/sky blue/white. Accent with rope for that look and feel of coastal driftwood. 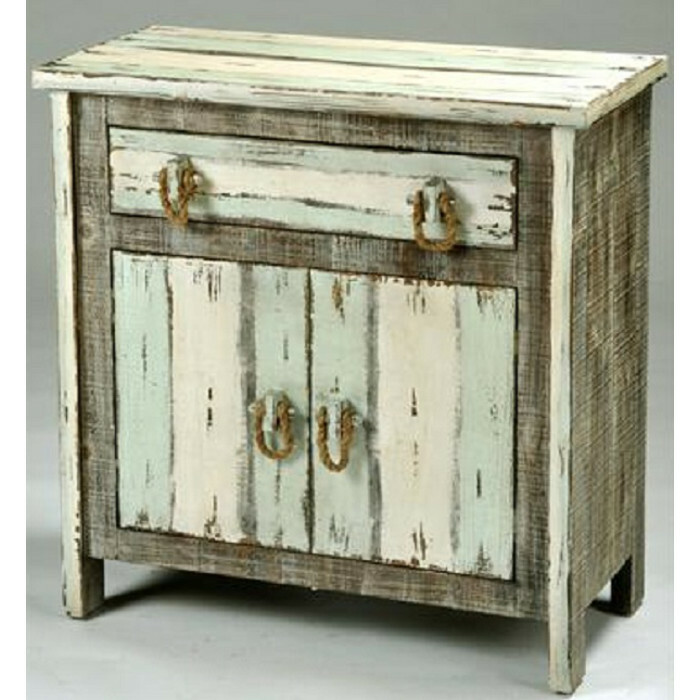 This coastal 2 door cabinet can accent any room in your beach home. See matching 4 drawer chest. Over sized item extra shipping may apply.